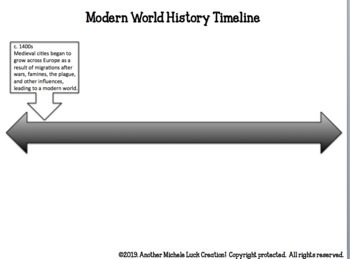 Do an End of Year Review for your Modern World History classes with a classroom timeline activity! Perfect before Final Exams or as Standardized State Testing Prep! 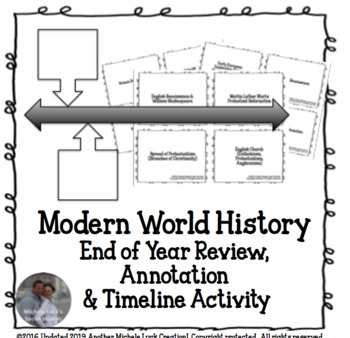 This Modern World History End of Year Review Timeline Activity covers 180+ of the key topics studied in most Modern World History courses from the Renaissance to Modern Day. Use this very comprehensive set as writing topic prompts, for year-end or testing review, or as discussion starters. 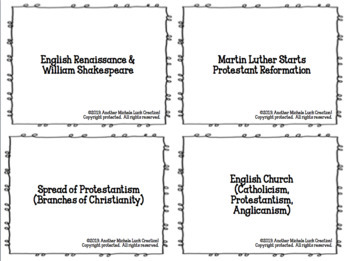 With so many topic cards included, choose the ones that work best for your course! 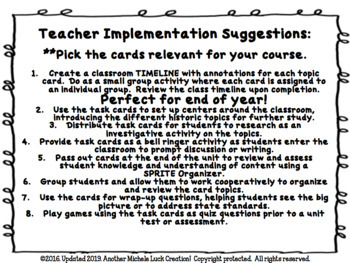 See the PREVIEW to determine if this resource will work for your classes!